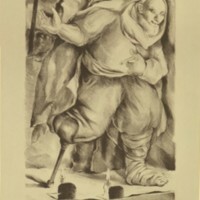 Lithograph titled, "The Beggar" in the series "Beggar’s Opera." 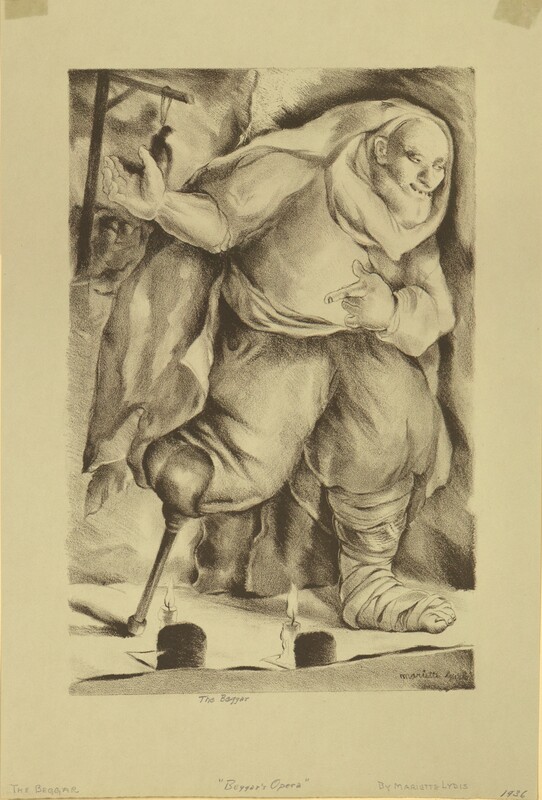 Image features a large, strange man with a one leg replaced by a peg leg and the other leg in bandages. A gallows with a hanged figure appears in the background.